The Purchasing Division administers the West Virginia Purchasing Certification program, which provides professional development and recognition to procurement officers whose job duties fall primarily under the authority of West Virginia Code §5A-3. Procurement officers from agencies exempt in full or in part from this authority are not eligible to participate, unless 75% or more of their job duties relate to transactions under the Department of Administration, Purchasing Division’s authority. 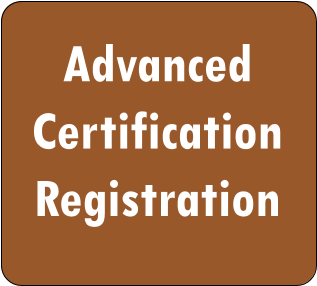 There are two levels of this Certification Program: Basic and Advanced. Below are the requirements for each level as well as for recertification. Step 1: Submit the completed West Virginia Procurement: Basic Certification registration form to the Communication and Professional Development Unit of the Purchasing Division. Step 2: Receive verification by immediate supervisor and agency head that the certification candidate has achieved one year of experience in public procurement, which must be attained within two years of the date the agency purchaser enters the program, AND that the scope of work that he or she performs involves a level of 75% or greater of public procurement responsibilities in a professional, not support-level, role; OR that he or she participates in the processing of 75% of the purchases for his or her respective spending unit in a professional, not support-level, role. This form can be obtained by emailing Purchasing.Training@wv.gov. If applicable, approval is also required by the department's designated procurement officer. The certification candidate's official date of participation in the program is defined as the date in which the Purchasing Director signs and dates his or her verification form. Public procurement responsibilities include, but are not limited to: overseeing the agency's compliance with purchasing law, regulations, and procedures; ensuring vendors are registered; preparing and approving specifications; preparing requests for quotations, requests for proposals, and other types of purchasing transactions; evaluating bids and awarding contracts/purchase orders; receiving commodities and services, and more. Step 3: Attend at least one of the last two Agency Purchasing Conferences AND complete 15 hours of classes or learning sessions offered by the Purchasing Division. Any class or learning session completed multiple times in any one calendar year, regardless of format, will only receive credit once toward the certification requirements. Learning sessions may include In-House Trainings, Online Resource Modules, webinars, and Special Purchasing-Certified Events (i.e. e-Procurement demonstration, special agency training, etc.). Purchasing Certified Events are pre-approved by the Purchasing Division. Step 4: Complete one consecutive two-day session with the Purchasing Division staff at the Purchasing Division offices. Step 5: Successfully complete a basic level examination. The certification candidate must take the exam within six months of the completion of Step 4. He or she will be provided four attempts total to successfully complete the exam. If unsuccessful during the first attempt, the certification candidate will be required to wait one month before testing again. If the certification candidate is unsuccessful during the second attempt, he or she will be required to wait one additional month. After the third unsuccessful attempt, the certification candidate will be required to wait six months before attempting his or her final exam. In all cases, the certification candidate will have only one year to successfully complete the basic level examination after his or her initial attempt. The certification candidate must receive an 80% to successfully complete the exam. *Re-certification requirements can be found at the end of this page. Below are the individuals which have received their basic certification. Step 1: Successfully complete the Basic Level certification and submit the West Virginia Procurement: Advanced Certification registration form to the Communication and Professional Development Unit of the Purchasing Division. 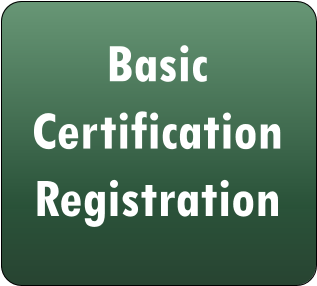 It is not necessary for the candidate to currently hold the Basic Certification, but it must have been attained at some point within the last five years. Step 2: Receive verification by immediate supervisor and agency head that the certification candidate has achieved three years of experience in public procurement, which must be attained within five years of the date the agency purchaser enters the program, AND that the scope of work that he or she performs involves a level of 75% or greater of public procurement responsibilities in a professional, not support-level, role; OR that he or she participates in the processing of 75% of the purchases for his or her respective spending unit in a professional, not support-level, role. This form can be obtained by emailing Purchasing.Training@wv.gov. If applicable, approval is also required by the department’s designated procurement officer. The certification candidate’s official date of participation in the program is defined as the date in which the Purchasing Director signs and dates his or her verification form. Public procurement responsibilities include but are not limited to: overseeing the agency's compliance with purchasing law, regulations, and procedures; ensuring vendors are registered; preparing and approving specifications; preparing requests for quotations, requests for proposals, and other types of purchasing transactions; evaluating bids and awarding contracts/purchase orders; receiving commodities and services, and more. Step 3: Attend at least three of the five most recent Agency Purchasing Conferences AND complete 30 hours of classes or learning sessions offered by the Purchasing Division. Any class or learning session completed multiple times in any one calendar year, regardless of format, will only receive credit once toward the certification requirements. Learning sessions may include In-House Trainings, Online Resource Modules, webinars, and Special Purchasing-Certified Events (i.e. e-Procurement demonstration, special agency training, etc.). Purchasing Certified Events are pre-approved by the Purchasing Division. A Purchasing Division staff member will observe the training for compliance with the training requirements. Step 5: Successfully complete an advanced level examination. The certification candidate must take the exam within six months of the completion of Step 4. He or she will be provided four attempts total to successfully complete the exam. If unsuccessful during the first attempt, the certification candidate will be required to wait one month before testing again. If the certification candidate is unsuccessful during the second attempt, he or she will be required to wait one additional month. After the third unsuccessful attempt, the certification candidate will be required to wait six months before attempting his or her final exam. In all cases, the certification candidate will have only one year to successfully complete the advanced level examination after his or her initial attempt. The certification candidate must receive an 80% to successfully complete the exam. Below are the individuals which have received their advanced certification. *Re-certification is required every three years and applies to both basic-certified and advanced-certified agency purchasers. Step 1: Attend two of the next three Agency Purchasing Conferences, from the date of certification/re-certification. Step 2: Attend a minimum of twenty hours of classes, learning sessions, or Purchasing Certified Events in the three-year period from the date of certification/re-certification. Step 3: Submit a verification for re-certification form with the appropriate signature from your immediate supervisor and agency head, and if applicable, approval from your department's designated procurement officer. To obtain a copy of this form, contact Courtney Johnson by phone at (304) 558-4213 or via e-mail at Courtney.S.Johnson@wv.gov.